More than 50 people were reportedly killed by a car bomb detonated on November 9th in Mogadishu, Somalia by al Shabaab. 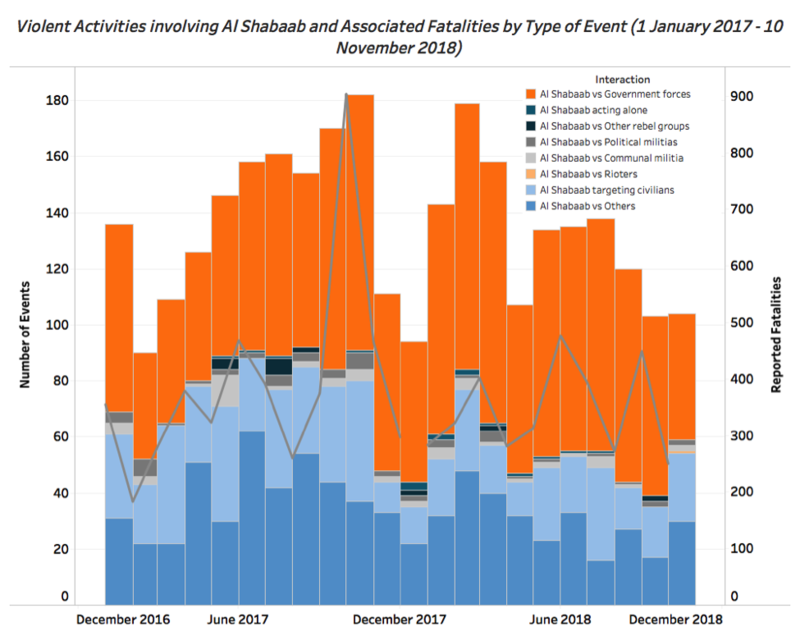 The event was the largest single al Shabaab attack on civilians since October 2017, when 587 fatalities were reported from multiple al Shabaab car bombs in Mogadishu. The October 2017 attack was followed by a new, internationally-backed military campaign against al Shabaab by the Somali government. The November 2018 car-bombing comes after months of reports of successful military campaigns, including American airstrikes, against the insurgents. As evidenced by the November 9th car bomb, despite the government’s efforts to secure Mogadishu al Shabaab remains capable of orchestrating devastating attacks in the city. The government’s recent offensive has shifted the geography of the conflict and incentivized al Shabaab to adopt different tactics in contested areas. As illustrated in the graph below, relative to 2017, this year has seen a decline in violent activities associated with al Shabaab overall. 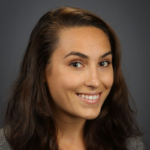 This decline is concurrent with and attributable to the Somali government and African Union’s military initiative against the rebels, which began in late 2017 (Voice of America, 26 October 2017). In 2018 to date, there have been 1,339 violent events associated with al Shabaab, compared to 1,432 events in January through October 2017. Reflecting the renewed military offensive against the rebels, in 2018 a greater proportion of al Shabaab’s activity has been battles with government forces. In the first ten months of 2017, 52% of violent activities by al Shabaab were battles. In 2018, that proportion rose to 61%. The increase in battles between al Shabaab and government forces from Somalia and elsewhere has not resulted in a clear territorial gain for either side. As illustrated in the map below, the preponderance of battles have resulted in neither the rebels nor the government gaining ground. This is particularly true with regards to Mogadishu and the surrounding communities. This is true not just in areas that the conflict has shifted away from, but also in areas newly affected by the fighting in 2018, as well as in areas that have been contested in both 2017 and 2018. The stalemate has prompted tactical changes. The Hiraal Institute, a research group based in Mogadishu, assert that the airstrikes and military offensive against al Shabaab has been accompanied by violence “against government offices and businesses that refuse to pay its taxes” (The Guardian, 11 November 2018). Some reporting suggests that the buildings targeted in the November 9th attack were businesses that “had not paid protection money,” to al Shabaab (The Guardian, 11 November 2018). Part of this tactical shift has been a reduction in the targeting of civilians by al Shabaab. Between 2017 and 2018 to date, the proportion of events in which civilians were targeted declined from 18% to 13%. This decline does not signify that al Shabaab has retreated from civilian targeting as a tactic — the group is likely contracting out its violence against civilians to affiliated militias, as it has done in the past (The Global Observatory, 27 January 2017). The rebels have cultivated relationships with rebel groups and have exploited inter-clan rivalries to pursue their own objectives. 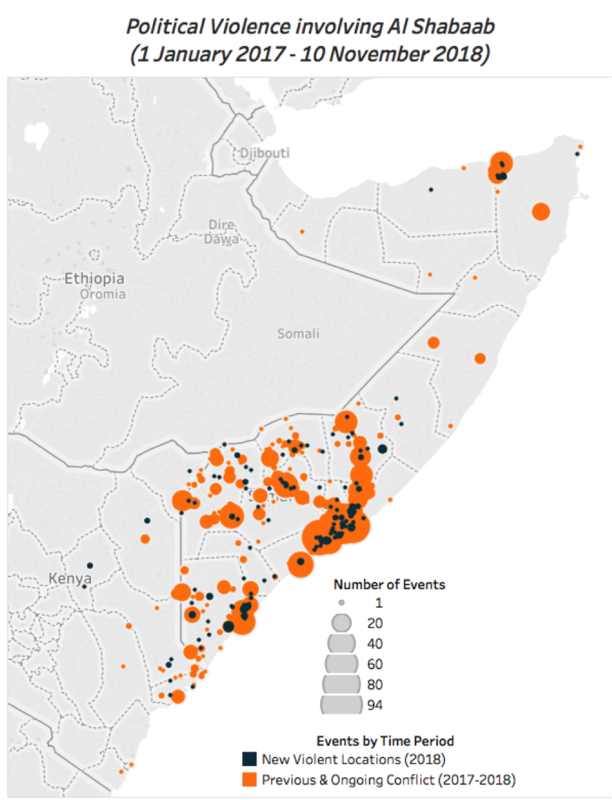 In the areas where al Shabaab was active in Somalia and Kenya in 2018, there were 356 violent events attributed to Unidentified Armed Groups and Unidentified Clan Militias, of which there were 181 instances of violence against civilians. More than 90% of these events are attributed to UAGs operating in Somalia. As illustrated in the map above, the military offensive has not only shifted the geography of battles in the conflict, but also other forms of violence such as remote violence and violence against civilians. In 2018, remote violence involving Al Shabaab shifted slightly southward. At the same time, violence against civilians was reported in new locations inland in Somalia, while declining precipitously in Kenya. Though the preponderance of violence involving al Shabaab is in Somalia, some of the most interesting developments in the insurgency appear to be in Kenya. At the same time that violence against civilians associated with al Shabaab has been on the decline in Kenya, some of the fighting has moved inland. In 2018 thus far, there have been three events in Isiolo, in central Kenya (compared to no reported incidents in 2017) and an increase in Wajir from 3 events in all of 2017 to 9 thus far in 2018. Between 2017 and 2018, there was a decline in events in coastal Lamu (from 24 events in the first ten months of 2017 to 10 in 2018 so far) and in border regions like Mandera (from 23 in the first ten months of 2017 to 13 in 2018). It is unclear – as always- whether these events are perpetrated by al Shabaab from Somalia, al Shabaab in Kenya, or groups from these areas taking on the mantle of al Shabaab. The last possibility is considered a common feature of communal violence in these areas (and in Somalia). However, given how dangerous it is to assume a mantle of al Shabaab in Kenya, the use of this moniker could be a scare feature of violence in the area. American drone strikes against al Shabaab have successfully killed dozens of al Shabaab militants (BBC, 16 October 2018). These attacks, paired with a renewed offensive by the Somali military and African Union, have shifted the tactics and locations of al Shabaab attacks. Violence against civilians by unidentified groups and clan militias in the areas that al Shabaab has been active in 2018 suggest that the rebels are once again brokering partnerships with local militias to bolster their control. Al Shabaab again will morph, fragment, and reassemble, rather than disappear.